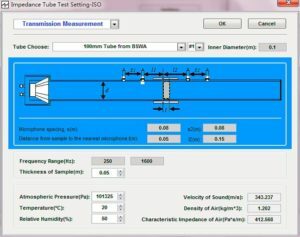 BSWA SW series Impedance Tubes can accurately measure sound absorption coefficients and impedance according to ISO or ASTM standards. 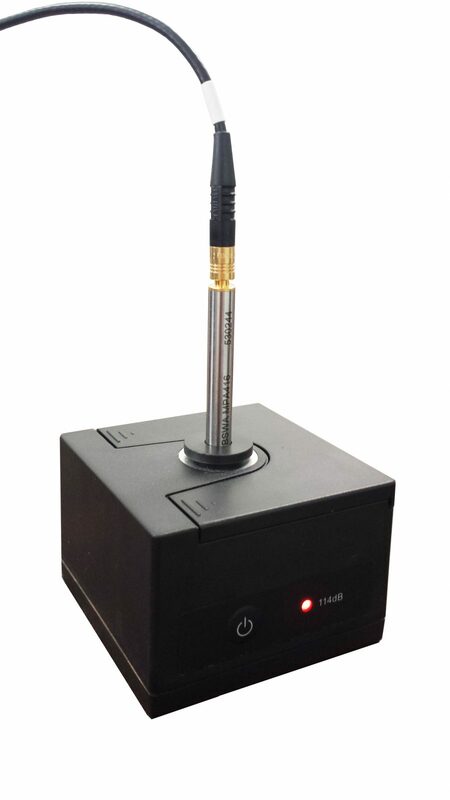 They also support sound transmission loss measurements based on the Transfer Function Method using four microphones. The tubes are specially designed not only to work with the cut samples, but also for direct use in the field. 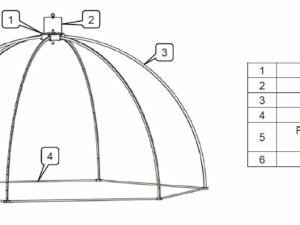 The small size and durable aluminum construction make it easy to be transported and used for estimating the properties of walls, ceilings, installed building materials, road surfaces, different ground surfaces, interiors of vehicles, etc. 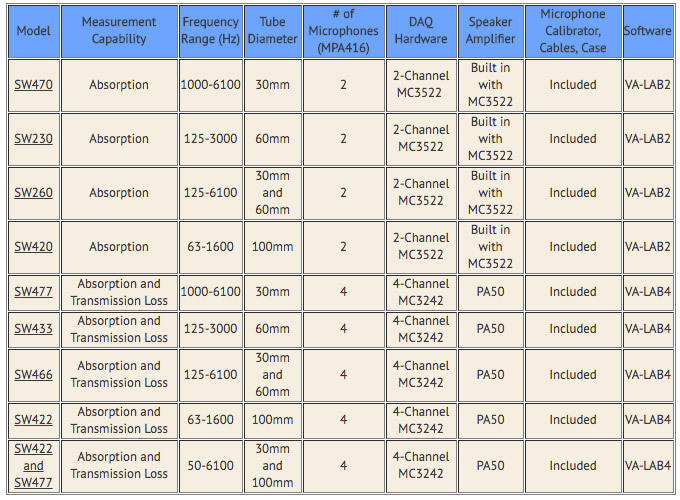 BSWA 1/4’’ MPA416 microphones , which have excellent phase matches, are ideal for impedance applications. 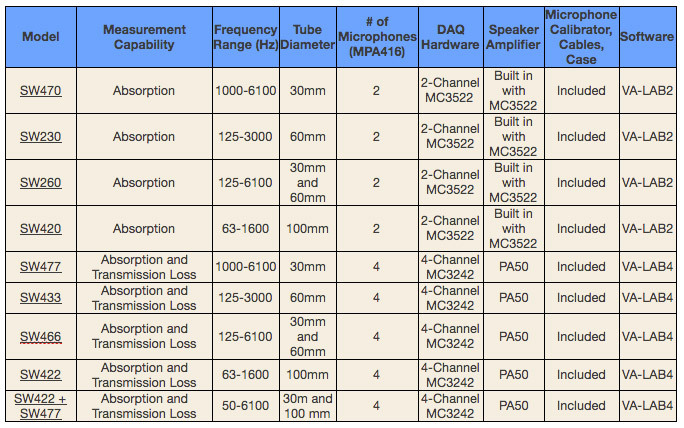 The microphones are directly connected to optional 2-channel MC3522 or 4-channel MC3242 data acquisition hardware using BNC-to-SMB cables. The impedance tube systems are designed to be used with a 2-channel MC3522 or a 4-channel MC3242 data acquisition hardware cards. The 2-channel MC3522 is ideal for absorption measurement systems where only two microphones are necessary. The MC3522 has a built in amplifier used to power the loudspeakers of the test tubes. 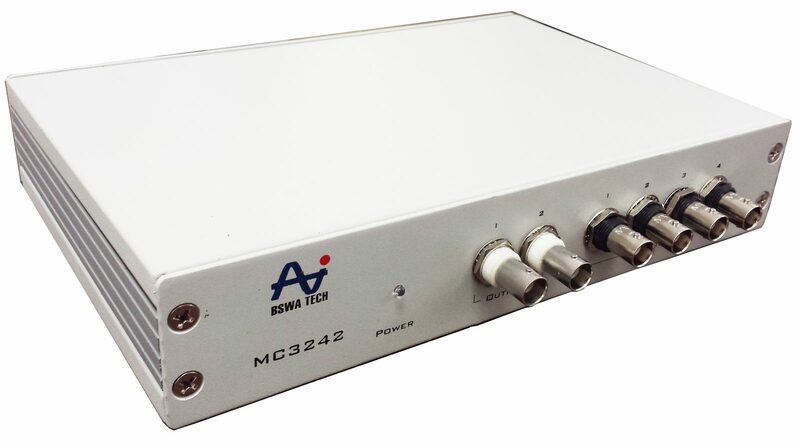 The 4-channel MC3242 is required for transmission loss measurements where 4 microphones are necessary. 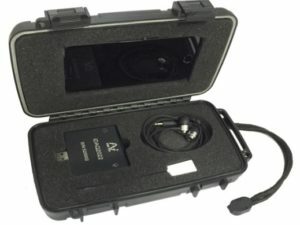 Unlike the MC3522, the MC3242 does not contain a built-in amplifier. 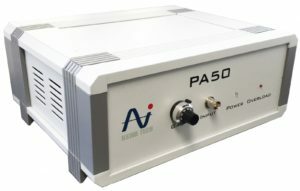 As a result, a dedicated PA50 power amplifier is used to drive the loudspeaker in the impedance tube. 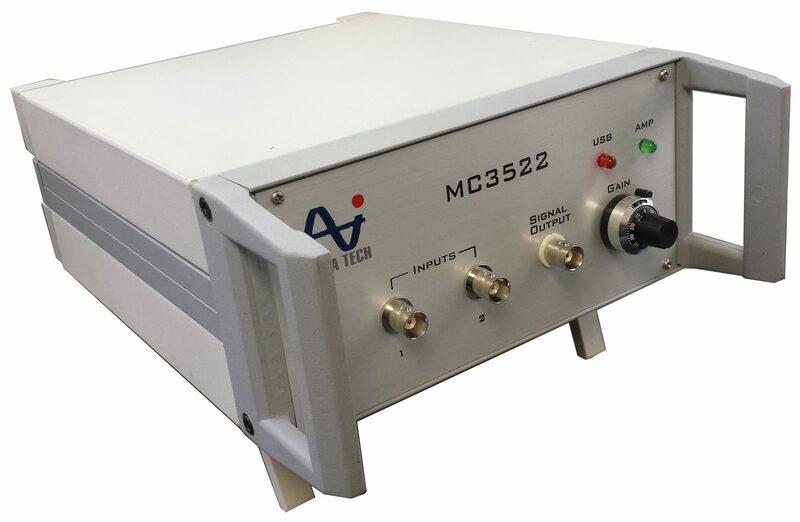 The MC3242 can be used for both absorption and transmission loss testing of materials. 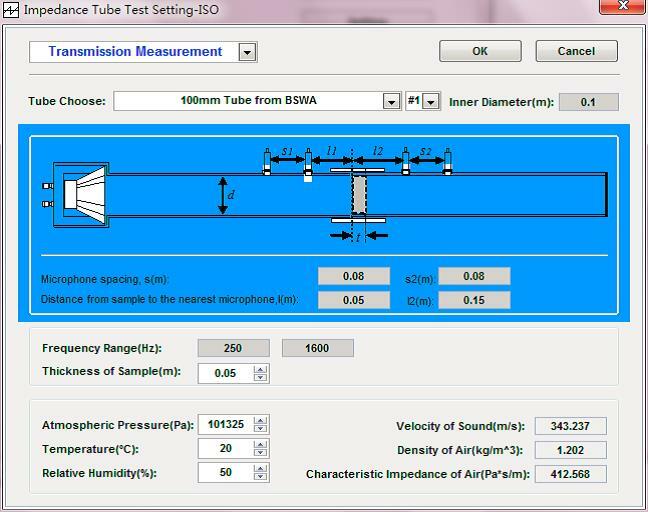 BSWA VA-Lab software includes the Impedance Tube Module (VALab IMP) which supports sound absorption and sound transmission measurement for BSWA SW series impedance tubes. The software works with BSWA MC3022, MC3522, MC3242 and MC3642 hardware for data acquisition and analysis. 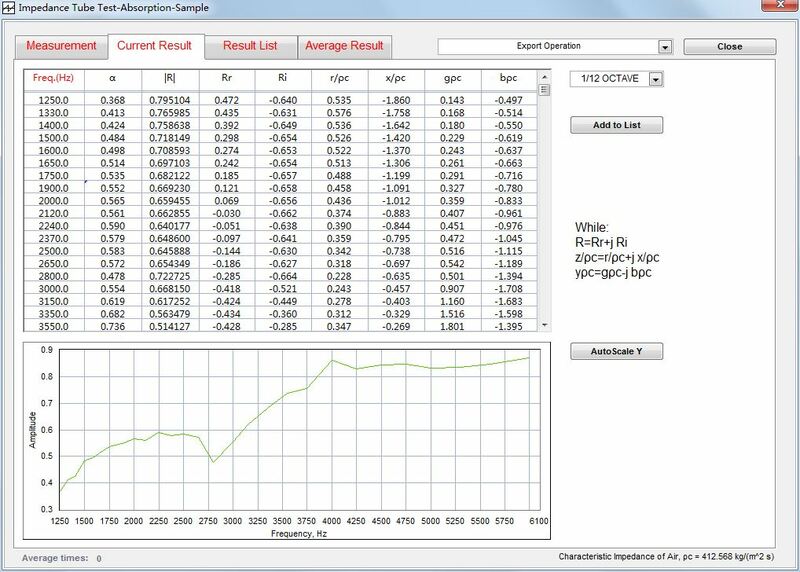 The software’s ease of use allows the user to quickly choose between absorption and transmission loss measurement. 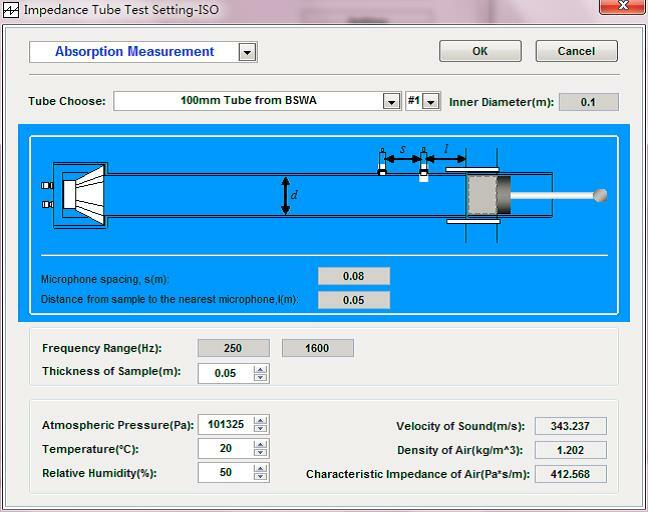 All necessary parameters such as sample thickness and environmental conditions can be entered within a single window. Results from multiple tube dimensions can be combined to provide seamless results in a single frequency range. 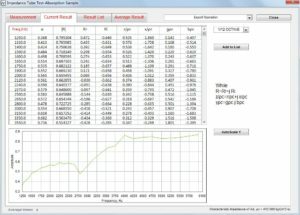 Reports can be quickly generated and exported into Excel using VA-LAB’s report generator. 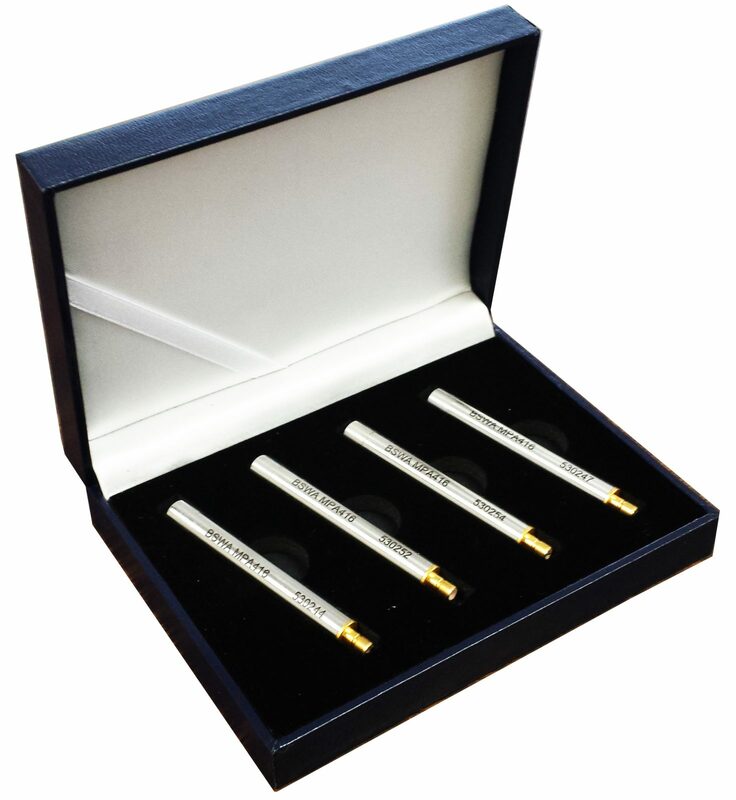 The SW series impedance tubes all use the transfer function method for absorption and transmission loss testing. 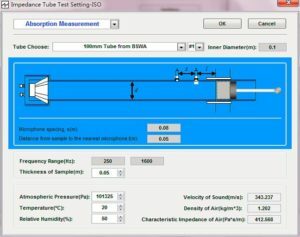 The Standing Wave Ratio Impedance tube method is a classic method for measuring acoustic characteristics of materials. Please contact us for more information if interested in such a system.